Are you looking to improve customer engagement on your website? Of course you are, it’s the whole point of having a website. And Alpha Vision has two ultra engaging tools that will help you do just that: alphaplans – our interactive floor plan solution, and alphamaps – our interactive site map solution. So now you are wondering how our solutions will integrate with your website, no worries, it’s REALLY easy. 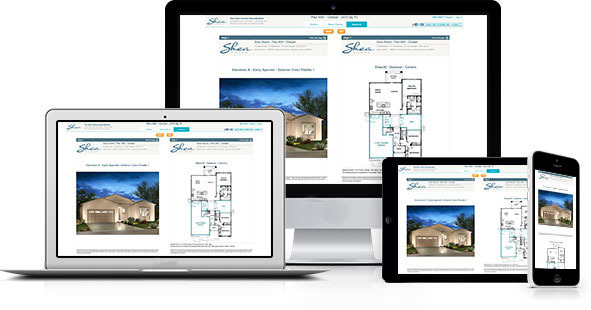 Simply add a call to action button or link anywhere on your existing website which, when clicked, will open a pop-up window and redirect you to the desired plan or map using the unique URL provided by Alpha Vision. Your interactive tools are now fully integrated and available to your visitors! If you prefer to integrate either of these solutions directly within your current website design, without opening a new window, simply use an iFrame directing you to the unique URL provided by Alpha Vision. Integration is seamless! When designing our suite of solutions, we make a concerted effort to take a client-centric approach to assure we are addressing the true needs of our homebuilder clients. We adhere to the theory that time is money, and we respect our clients’ time. That’s why both integration options require a minimal time investment on the part of our clients…after all, technology should make life easier! Inter-connectivity – Alpha Vision’s suite of solution is 100% smart and inter-connected! With Alpha Vision as your partner, it’s remarkably easy to engage your prospects! Contact us today!